At the Ballard Avenue restaurant, they even grind the masa themselves. 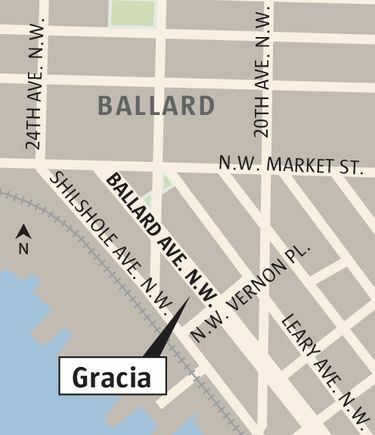 In Spanish, “gracia” means “grace, charm or loveliness.” It’s a fitting appellation for chef Chester Gerl’s appealing Mexican restaurant in Ballard. And she did just that. 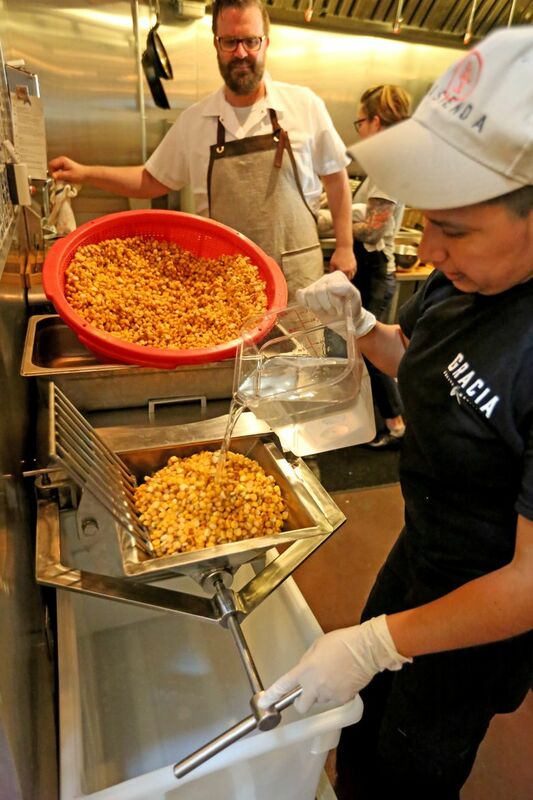 The spot she found has a bar up front, a kitchen counter deeper in, and a nook way back where La Virgen de Guadalupe watches over the preparation of salsas and guacamole. The Ballard-meets-Baja décor mixes bricks-and-mortar with pressed tin, ceramic tile and dark wood accents. 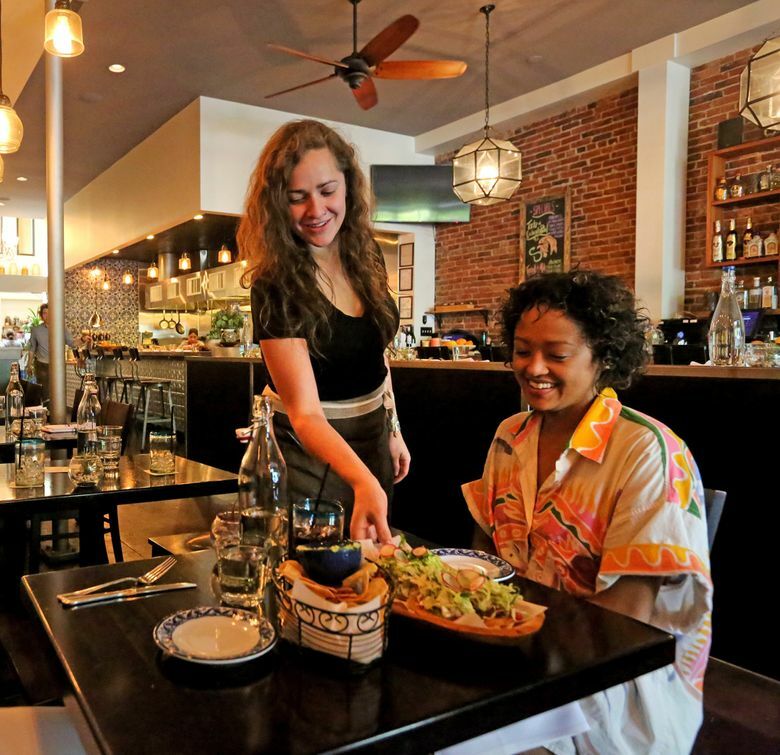 Gerl cooked in Seattle for more than a decade (at Brasa, Place Pigalle and Matt’s in the Market) before moving to New York to work for Marc Meyer and Vicky Freeman, first at their Southern-inspired restaurant Hundred Acres, then at Rosie’s, the Mexican place they opened last year. Mexican food has long been Gerl’s passion. He often had pozole on the menu at Matt’s in the Market. His pork-packed pozole verde at Gracia is even better because it’s made not with the usual hominy, but with nixtamalized, genetically diverse, landrace corn grown on small Mexican farms. He’s experimenting with several varieties, sourced from Masienda, a New York-based importer. The flavor difference is profound. Tamales have an especially creamy texture. The fragrant, supple tortillas make excellent tacos generously heaped with slow-cooked shredded pork or lamb, bits of beer-battered halibut or roasted vegetables. A finely tuned salsa or crema enhances each. Fried totopos deliver robust corn flavor as well. 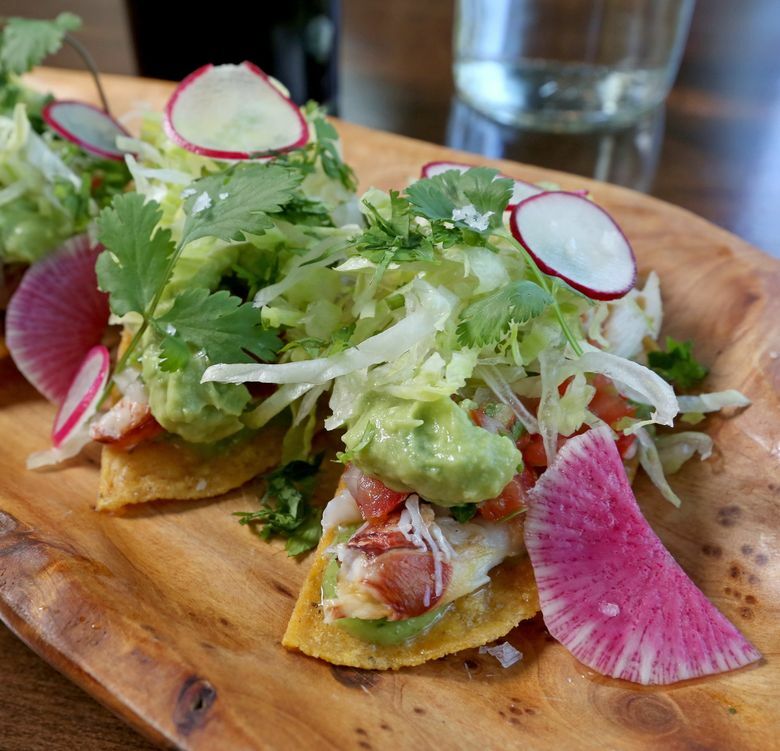 Their name derives from a combination of Aztec words roughly meaning “tortillas noisy to chew.” Round totopos become tostadas piled with sweet crab and mashed avocado in a tangle of shredded lettuce and salsa fresca. Triangular chips accompany an exhilarating shrimp, squid and crab cocktail that resembles a seafood-packed gazpacho. Totopo chips are crisp conveyances, as well, for salsa macha — an oil-based mixture of peanuts, sesame seeds and chilies that is fascinatingly fruity, bitter and nutty at once. A quartet of more familiar salsas — vibrant pico de gallo, smoky red pepper and tomato, smooth avocado and cilantro, and brisk habanero — comes with a basket of different tortilla chips, freshly fried but not made from scratch. Tlayuditas are corn tortillas hardened on the mesquite grill, then fried on the griddle and finally topped like pizza. Overburdened with mashed black beans and chorizo, stringy quesillo cheese, fresh tomatoes and cabbage, they lacked the finesse of other offerings. 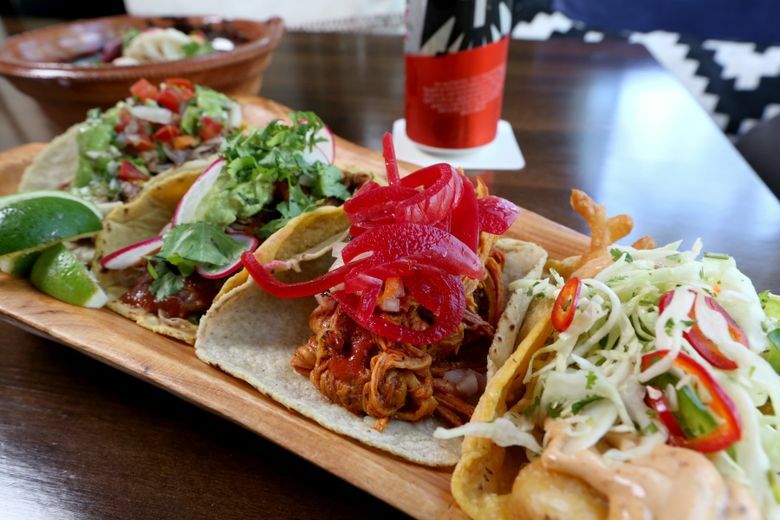 You can easily fill up on tacos, tostadas or other antojitos, but the dinner entrees are worth making room for. 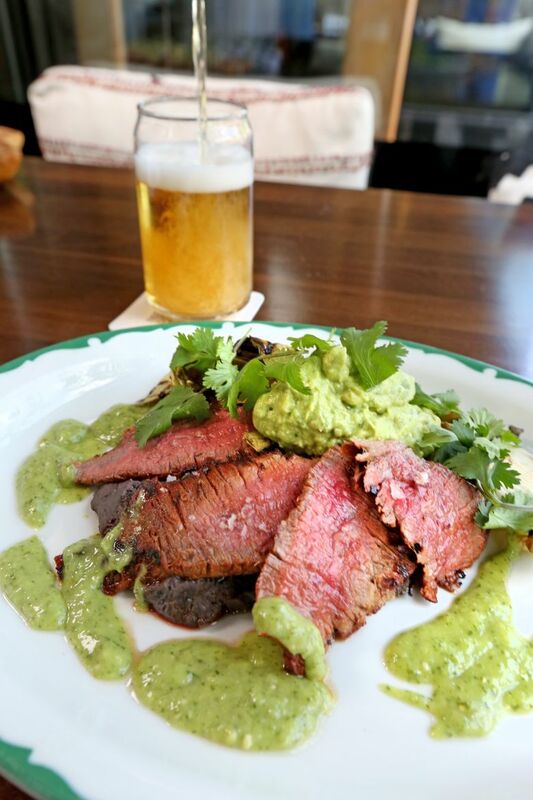 Unusually tender chile-rubbed flank steak makes an outstanding carne asada plated with black beans and guacamole. Cilantro-tinged arroz verde offers bright contrast to the rich red mole draping a leg-and-thigh joint of braised chicken. The grilled-vegetable array on both plates recently included nopales and ramps. Habanero relish ignites cochinita pibil, incredibly pliant pork steamed in a banana leaf. In the Yucatan, that fierce green sauce is called xni pec, or dog’s nose, for its tendency to make people’s noses drip. You may want to ask for it on the side. General manager Salvador Huerta, who grew up in Mexico City and the Yucatan, likes to share the story of his brother howling through the night after rashly downing a bowl of xni pec. A former bar manager at Matt’s in the Market, Huerta’s firsthand knowledge of the country, its culture and language is an asset to Gracia. He compiled the playlist of contemporary Mexican music that fades in and out above the conversational hubbub. He curated the impressive selection of mezcal (half price every Tuesday) and created a list of classic cocktails re-imagined with agave spirits. Tres Generaciones anejo tequila replaces bourbon or rye in the Manhattan. The gimlet gets a jolt from tequila infused with jalapeño and serrano peppers. 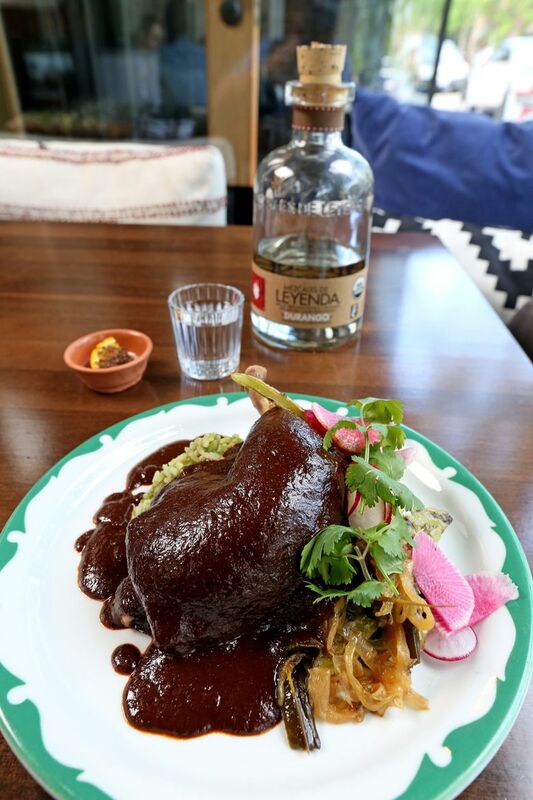 You can add more intrigue to the big, potent, well-balanced margarita by opting for mezcal or its less smoky, slightly vegetal cousin, sotol, a spirit distilled from wild agave plants found in the region of Chihuahua. These are drinks that demand a snack, like the giant chicharrones speckled with salt and chile powder, or the lime-kissed, chile-stoked guacamole pinned with a flamboyant boutonniere of radish rounds. Gracia is styling right through dessert. Churros made with pate a choux were a little too wet in the middle, but they had a delicate crunch even dipped in warm, almond-flavored chocolate ganache. Toasted coconut dresses up the satiny flan. The surprise stunner was a whole roasted plantain. The sweet fruit, spooned from its blackened skin, eaten with crumbles of cotija cheese and a drizzle of crema, makes a simple and suitably graceful finale to a meal at Gracia. Information in this article, originally published May 19, 2016, was corrected May 20, 2016. A previous version of this story incorrectly spelled general manager Salvador Huerta’s name.